A charming vacation rental in Pocahontas County, WV. Yeager House is on the site of Camp Bartow! 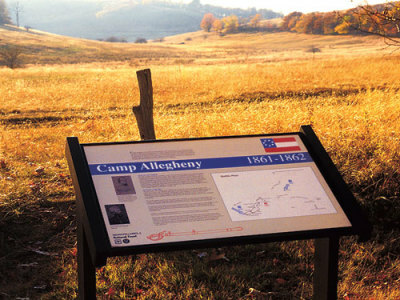 Established by Confederate forces in the summer of 1861 to control the Staunton-Parkersburg Turnpike, this camp at 4,400 feet about sea level was one of the highest of the Civil War. Built by Union forces in 1861 to secure the Staunton-Parkersburg Turnpike and protect the Baltimore & Ohio Railroad. The unique earthworks of this encampment remain. 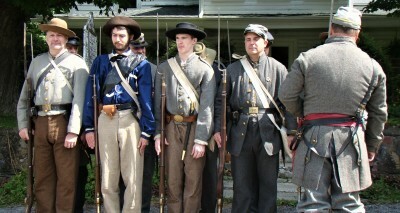 Reenactments of the Battle of Droop Mountain occur in October of even-numbered years. The site of one of the earliest land battles of the Civil War as Union regiments attacked and defeated Confederate troops defending a strategic mountain pass on the Staunton-Parkersburg Turnpike. This historic site includes the battle site, Confederate Camp Garnett, and connecting section of the old Staunton-Parkersburg Turnpike. 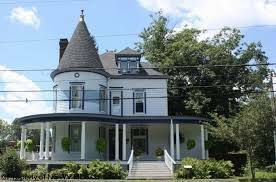 Knowledgeable guides tour visitors through the historic home housing original family furniture and other personal belongings of the author.